In their biggest week of the season, the Tampa Bay Lightning came up small. 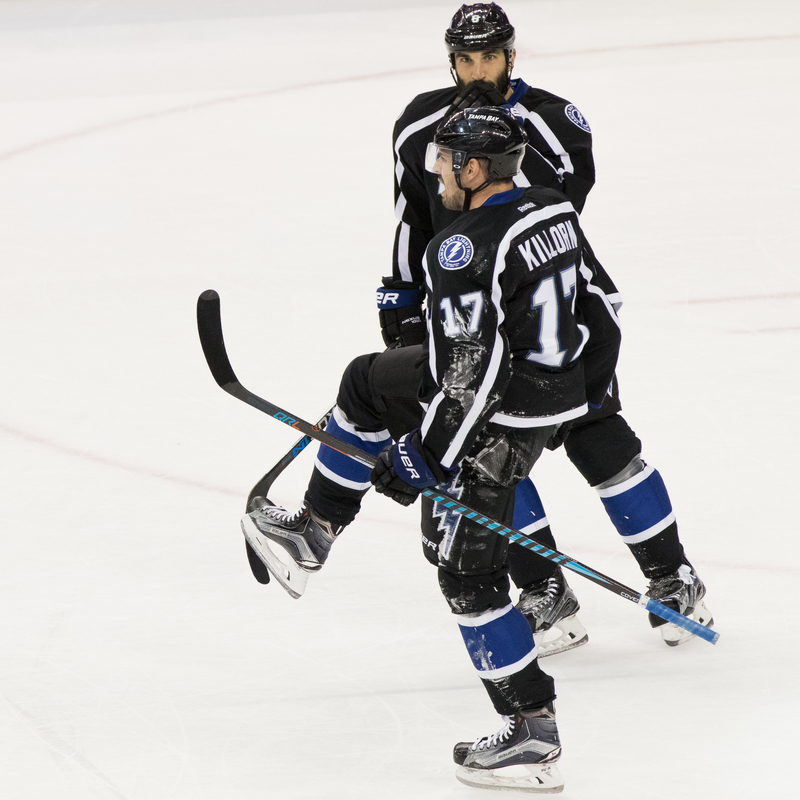 For the second straight game, the Bolts were clobbered Saturday night. This time, it was a 5-3 loss to Washington as T.J. Oshie scored a hat trick. The Lightning has now surrendered 10 goals in its last two games. The Lightning gave up two goals two start the game, then pulled even before Washington scored three in a row. "We talk about the physical drains of playing a full NHL season," Cooper said. "(It's) no secret how banged up we are, but I don’t think anybody can talk about the mental strains, especially when we’re thin. We’re depending on guys, game in and out, to perform with us. It’s mentally draining and they’ve been doing a heck of a job"
Nikita Kucherov scored twice for Tampa Bay. Alex Killorn added the third. "We got three," Cooper said. "When you get three, you’ve got to get points. Yes, you want guys to come out of their goal droughts and stuff like that, which they did. We scored three. You can’t give up five. You can’t give up four. It’s too tough to win in this league. I’m not as concerned about the amount of goals we’re scoring. It’s what we’ve given up. They’re battling. You’ve got to feel for them because they’re laying everything on the line. As I said, if you had told me we were going to score three against Washington, I was hoping we could get some points out of it." Tampa Bay is home against Arizona on Tuesday. Previous post: Ask Gary: Is there room for Longo and Kiermaier?